SurPhase RELEASE coatings can save growers time and money by releasing nutrients to plants when they most need it – improving efficiency, minimizing environmental impact, and lowering costs. Specially designed coatings provide protection to water soluble nutrients. Those nutrients are released by temperature, as well as moisture and rainfall. The fertilizer’s release profile is consistent and reliable, reducing unwanted growth bursts or plant burn. Getting the nutrient to the plant when it needs it, allows growers to reduce the number of applications required and the amount of fertilizer required – lowering both labor and fertilizer costs. Lower application rates and improved uptake mean reduced potential for run-off, leaching and environmental headaches. 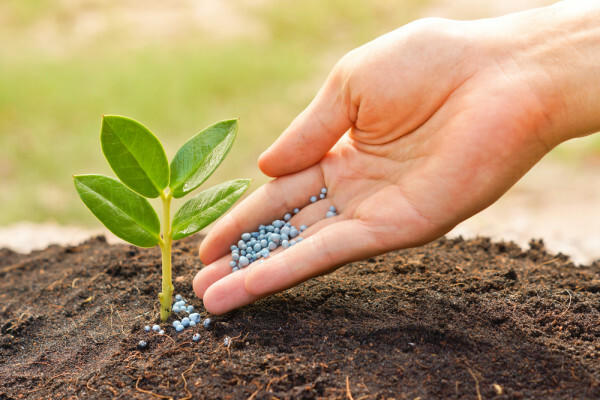 Surface Chemists scientists and engineers will develop and manufacture a controlled release coating that is tailored to your fertilizer composition and your customers nutrient requirements. That’s why SCF tailors each product to their customers’ unique granular fertilizer composition. This customization does not cost you more or require extended time or new equipment on your side – it’s just how we do business. We work with your team to optimize a product and a process that meets your specific needs – saving you time, money, and most importantly – providing you a differentiated product. Would you like to learn more about what SurPhase RELEASE Coatings can do for you?